With Fifth Harmony on an “indefinite hiatus,” its members have hit the ground strutting with their solo endeavours. Smokey-voiced songbird Lauren Jauregui has been steadily building buzz with cuts such as ‘Expectations’ and ‘More Than That’ – all of which have been met with critical acclaim. Now, as she strives to crank it up a notch, she’s teamed with an industry icon to shepherd her solo charge. In an interview with Billboard, Barry Weiss revealed that he has signed Jauregui to his growing RECORDS imprint. Weiss is renown for his tenure as the head of Sony’s Jive and later RCA; during said runs, he spearheaded the career successes of Britney Spears, NSYNC, and Justin Timberlake solo. Now, he says, 22-year-old Jauregui is one of his key focusses after entering a unique partnership with the singer and her initial label Columbia. “She’d been straight Columbia, but as a result of [our A&R] Jenna’s fervent interest and my great relationship with Larry Rudolph, [Lauren’s] manager — also Britney’s manager — she’s now going to be through RECORDS/Columbia. She’s got huge global potential. Columbia’s Ron [Perry] has been very intelligent about it — he thought she’d be well served by the level of attention that we can provide as a very small unit. We’re looking for opportunities wherever we can. From left: Andrews, Weiss, Jauregui, and Jauregui’s managers Rudolph, Dan Dymtrow and Tara Beikae. 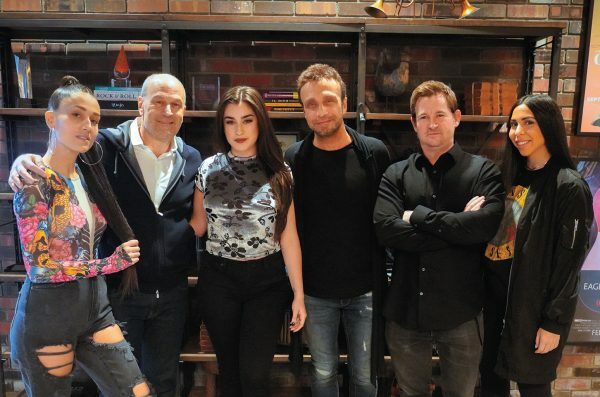 The move sees Jauregui embrace a similar strategy as her former bandmates, most of whom have signed to major labels by way of smaller imprints, where they are priorities on the roster. Case in point Normani (Keep Cool/RCA), Ally Brooke (Latinum/Atlantic), and Dinah Jane (who is signed to LA Reid‘s indie upstart HitCo). Here’s hoping the backend change, which seems like a solid fit, yields solid results. Lauren is an outstanding vocalist and has just needed the right team behind her to get her voice heard. So proud of her for this deal and I hope we get to hear more from this talent going forward. Congrats Lauren! 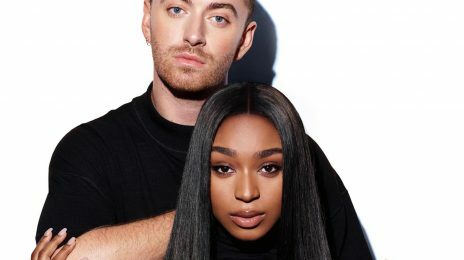 As reported, Normani‘s planned performance with Sam Smith at the 2019 Billboard Music Awards was unfortunately pulled after the British singer injured his vocal chords while touring abroad. This week brought with it news of the delightful and devastating variety for Normani and Sam Smith.